Figure 23.5 Corynebacterium diphtheriae Note the "Chinese letter'" pattern. © Streptococcus pyogenes enters by inhalation (nose), or by ingestion (mouth). @ S. pyogenes exits by nose and mouth. 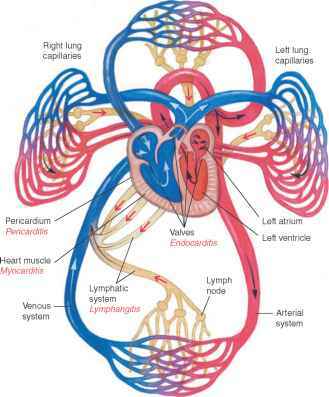 ® Damaged heart valves leak, heart failure develops. Prevention and Avoidance of crowding; adequate treatment ventilation; daily penicillin to prevent recurrent infection in those with a history of rheumatic heart disease. Treatment: 10 days of penicillin or erythromycin demic spread of the organisms. 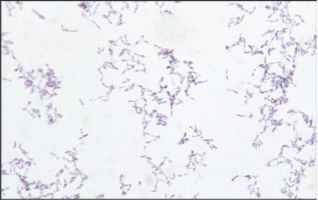 These bacteria require special media and microbiological techniques to aid their recovery from the mixture of bacteria present in throat material. It is unlikely that they would be recovered by the usual methods for culturing S. pyogenes from sore throats.